Center for Social Justice (CSJ) invites you to be a part of the first of three “Consciousness at the Margins” keynote speakers during the 2018-2019 academic year. 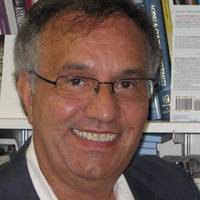 Professor Donaldo Macedo, Distinguished Professor of Liberal Arts and Education at the University of Massachusetts at Boston, is our first special guest. Professor Macedo is a Cape Verdean-American critical theorist, linguist, and expert on literacy, critical pedagogy, and multicultural education studies and wrote the introduction to Paulo Freire's "Pedagogy of the Oppressed." Professor Macedo's talk is titled: Critical Educators’ Recusal to De-Guccify: Anti-Praxis in Situated Written Critical Discourse. Senior Associate Dean Adanna Johnson will introduce Professor Macedo who will then give a 25 minutes talk about the relevance of "Pedagogy of the Oppressed" today. Professor Nicholas Subtirelu from the Linguistics Department and Professor Fida Adely of the Center for Contemporary Arab Studies (CCAS) will offer responses to Professor Macedo before we open to audience questions and comments. The event will conclude with a light reception from 5:30pm-6pm.